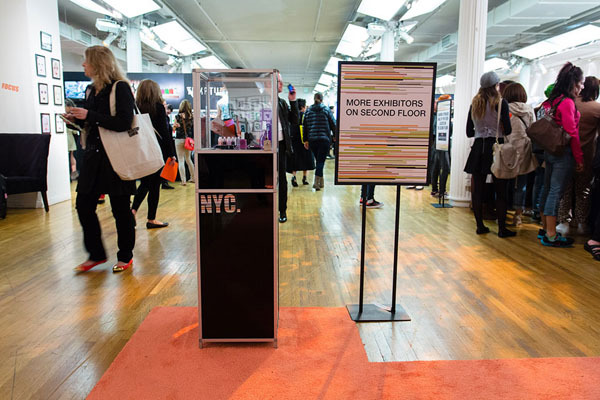 This past week the Makeup Show NYC returned to the Metropolitan Pavilion for its 11th year, gathering some of the biggest names in the beauty industry, along with favorite brands, educational workshops, and other inspirational and valuable resources. 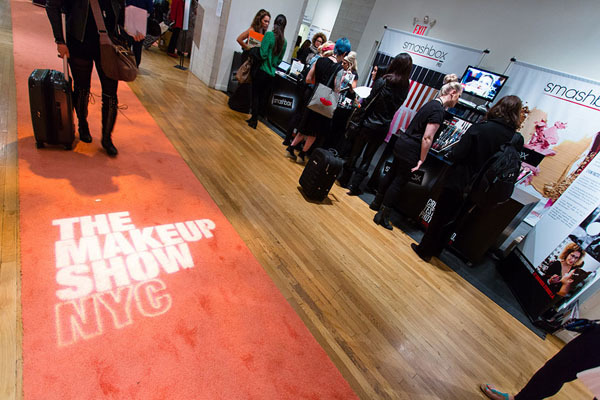 The Makeup Show NYC kicked off with The Makeup Show Gala, themed Sound and Vision, inspired by David Bowie, a true visionary that not only pushed boundaries but had a huge impact on the ideas and conceptions of beauty. 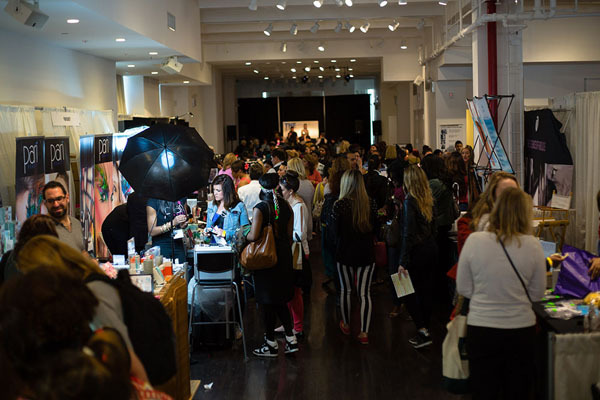 Here, guests mixed and mingled with other makeup aficionados in a fashion filled affair topped off with an award ceremony honoring the legacy and work of the founder of MAKE UP FOREVER, Dany Sanz, and iconic artist, Linda Mason. 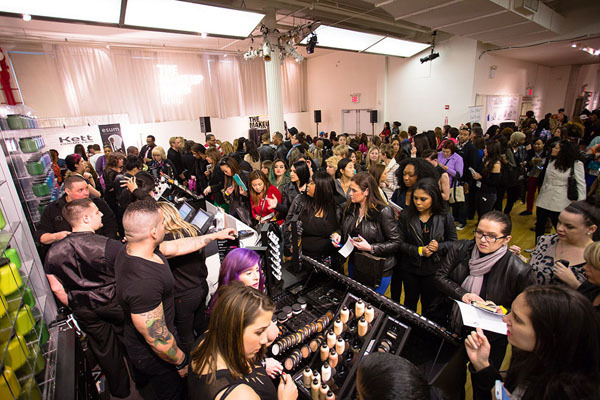 The Makeup Show has created a mecca for beauty insiders and industry professionals that showed up to participate in this dynamic and well-organized show. 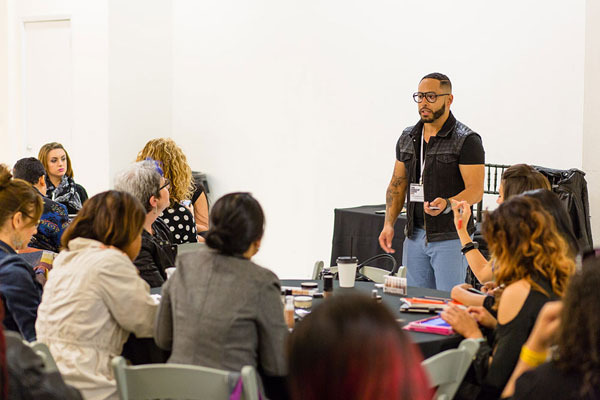 These beauty pros from all over the world, from retailers and buyers to editors and bloggers, went on to learn about and build relationships with some of the industry’s biggest players and trend setters. Sponsored by over 70 top pro-focused brands, including: Diamond Sponsor MAKE UP FOR EVER, Platinum Sponsor Crown Brush and TEMPTU, Silver Sponsors Obsessive Compulsive Cosmetics, Frends Beauty and NARS, as well as Supporting and Contributing Sponsors like INGLOT Cosmetics, Smashbox, Glamcortec, Bdellium Tools and Pinnacle Cosmetics, there was no lack of variety and excitement with plenty of opportunity to shop for exciting new products, many of which were launching at the show. One of the most notable launches include TEMPTU’s Airpod Pro among many, as well as nearly 50 different inspirational keynote speakers and seminars, in addition to hands-on workshops. 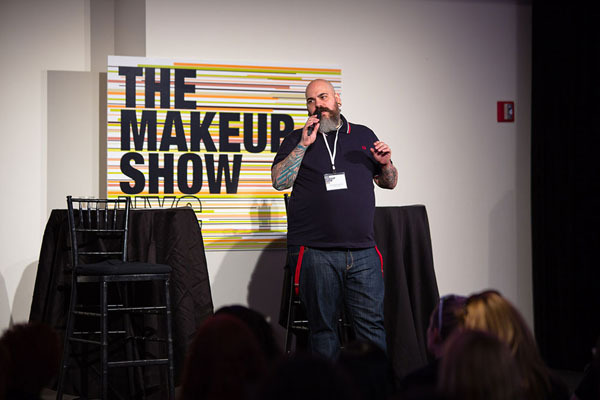 The rare lineup of keynote speakers by top celebrity makeup artists and icons from around the world such as Danny Sans, Scott Barnes, Wende Zomnir, Renny Vasquez, and Mick Rock, shared with attendees their secrets to success, tips, tricks and techniques, complete with demonstrations and inspiring keynotes. 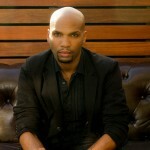 Some topics included the Signature Style of a Celebrity Artist, Making it in Makeup, and A Career in Makeup, among many. 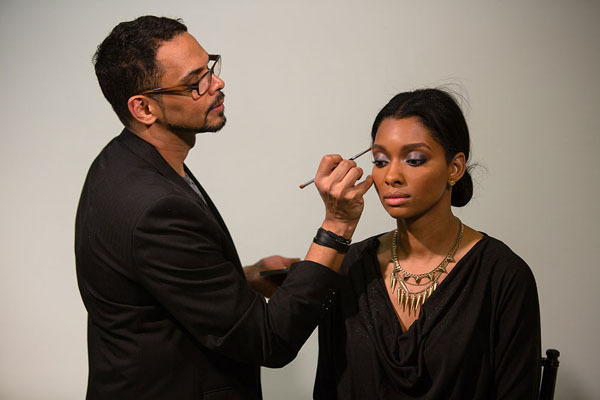 A great way to explore creativity and discover new techniques and skills are through informative hands-on workshops featuring such topics like Red Carpet Beauty, Editorial Beauty, Emphasis Eyes, Makeup for Photography, and many more, by a handful of highly regarded and influential masters in their fields and some of the biggest names in the industry like Orlando Santiago, James Vincent, Esterique Aidan, Danessa Myricks, and David Hernandez. 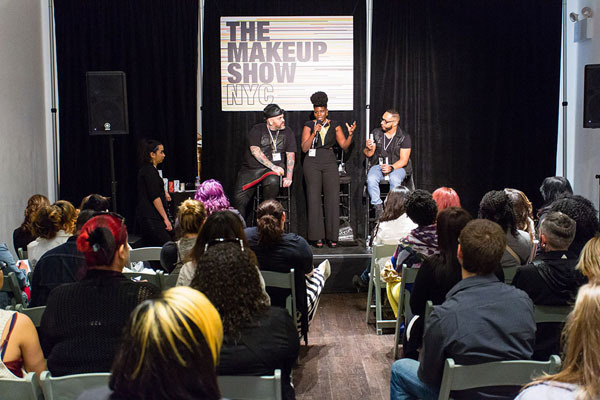 The Makeup Show NYC went out with a bang, finishing up with the return of the Beauty Tour NYC where guests were able to tour the city with James Vincent, visiting some of his most inspirational spots such as MAKE UP FOREVER, Obsessive Compulsive Cosmetics, Nars, Sephora, and MAC, among others. 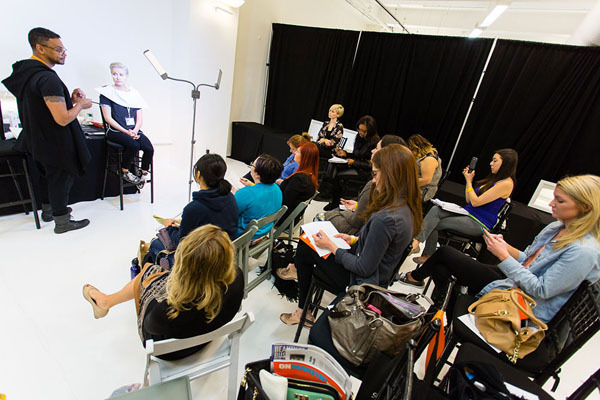 The show’s unparalleled lineup of education and appearances from these top beauty professionals makes this pro-only event one of the most anticipated and successful ones in the industry. 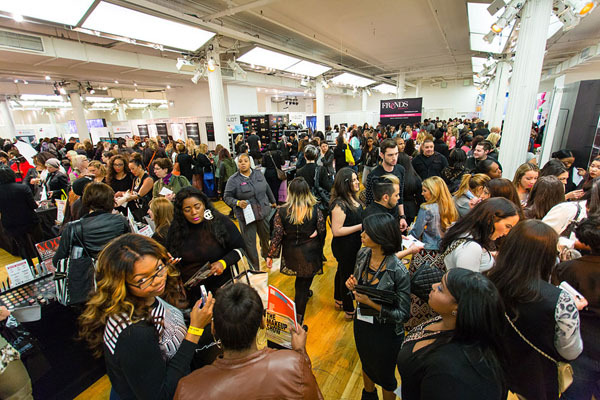 The next event will be the debut of The Make Up Show Pop-Up Shop Atlanta on June 18th.